i'm not a big chain restaurant eater. ok, that's a complete lie. i'm obsessed with chipotle, as every good vegan should be. i've even included a link, in the case that you are unfamiliar and/or not obsessed. yet. anyway. there's one chain (ish) place i've been wanting to try for a while, simply based off of claims from several friends & family that i would absolutely love it. this legendary establishment is ... protein bar. the reason why it has come so highly recommended to me : "we do healthy... healthier with a commitment to flavor & great service. we know you're busy & want to take care of yourself at the same time -- so we make it simple, fast & delicious to fuel your body while allowing you to take care of the other things in your life." welp. sounds about right. so one friday, off i went into the loop to meet mah bestie (hi, carly!) 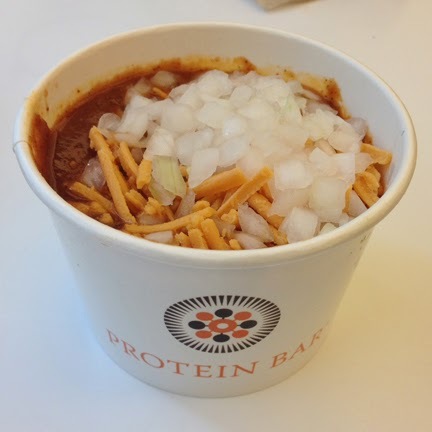 for lunch at protein bar. 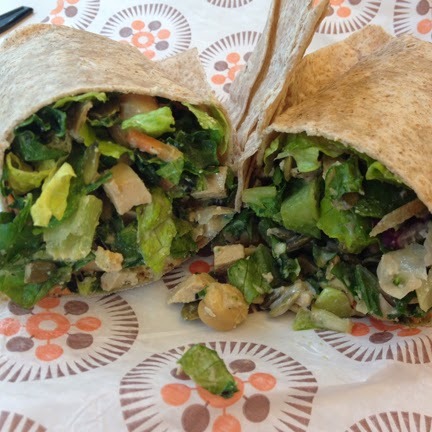 marinted organic tofu, kale, toasted pepitas, chickpeas, house-made creamy vegan chia dressing & super 6 salad mix, wrapped in a whole-wheat flax tortilla. alright, it's got vegan right in the name. it's got to be good, right? yes. right. no joke, amazing. and uber-filling. like eat half and save there rest for an afternoon snack kind of filling. *i later found out this can be made into a salad. next time, friends. also, delicious. for me, chili is one of those nostalgic items. to be able to add cheese & fresh chopped onions made me so happy. this cup o' chili could have been absolutely terrible & i still would have loved it. well, that solves it. 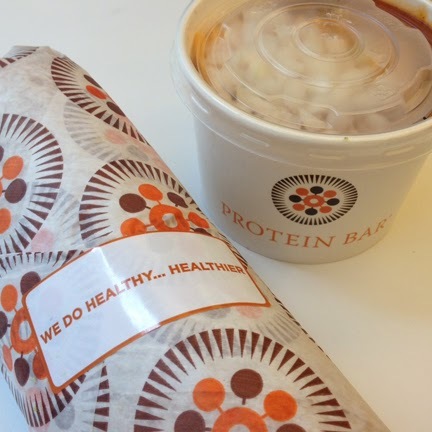 protein bar is my new favorite lunch place in the loop. enough qualifiers there, for you? i am 100% certain that i will be back on the reg. so many items to try, so much time to try them.